If your RV has a single Zamp roof port (on the roof) it will handle up to 200 watts, if you have the 3 port roof cap then your coach is designed for up to 480 watts. 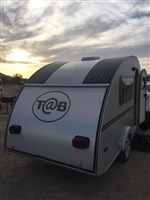 If your RV is Solar Ready with a sidewall port, it is designed for a portable system which you can find our Portable Solar Kits Here. Zamp Compatible Solar Ready RV Kits (SRRV) from 80 Watts to 540 Watts to Complete your Zamp Solar Ready RV System at a fraction of the cost. 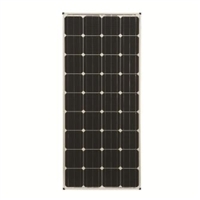 Our SRRV kits come with the solar panel, or panels, the charge controller, Z brackets or tilt brackets for each panel, and ten feet of wire from each panel to the single or three port roof cap. The ports are usually pre-wired to a cabinet, then to the battery or 12v distribution panel for a quick install. 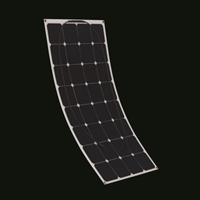 Our Zamp Compatible SRRV kits include the solar panel of choice, the mounting brackets for the panel and the solar charge controller. The panels will plug into your existing Zamp 3 port roof cap. If you're starting from scratch, you will need a complete Deluxe Kit HERE.